The Oceanis 55 is an ideal sailing yacht for a large group of up to 11 guests. Built in 2013, this Oceanis 55 offers a modern interior with ample space for sleeping, cooking and taking in the sun. With 6 cozy cabins, you and your guests will feel right at home during your Croatian sailing holiday on a yacht charter in Pula. Though you may want to spend most of your time on the expansive deck, you will also enjoy the brightly lit galley which also features ample space for sailing. 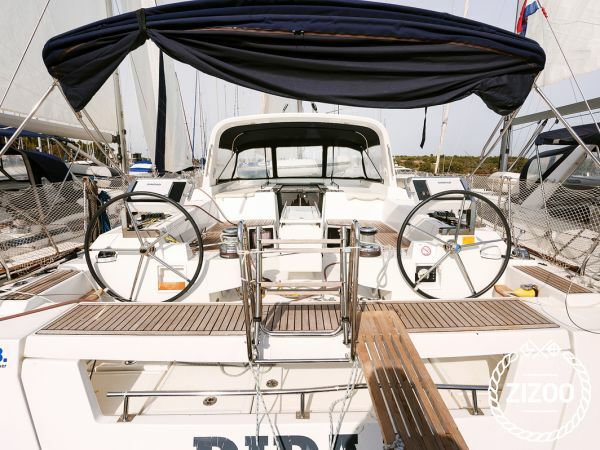 Learn more about chartering a yacht in Pula with our sailing guide and 7-day sailing route. We had a beautiful time in Pula. The restaurants and nightlife are so fantastic. We spent beautiful week even tho we didn't sail around, cuz boat is really simple and spacious so we had a great time on it. Absolutely positive experience on Oceanis 55! Service + boot waren beide exzellent. Schön dass wir in der Saison noch ein neuwertiges Boot erhalten konnten.